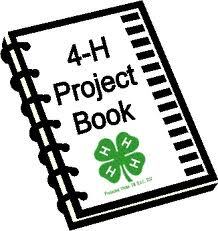 4-H Project Record Book Time! It’s Project Record Book Time! All 2018 Project Record Books are due to the N.C. Cooperative Extension of Beaufort County office by February 15, 2019! All 2019 4-H Livestock Project Records are due to the N.C. Cooperative Extension of Beaufort County office by May 31, 2019! Livestock Projects ALSO require the following animal pages based on the animal and age of the 4-H’er. When turning in your livestock project, You should have project book pages from the appropriate link above and your respective animal pages from below. • Does Anyone in Currituck Raise Livestock? • Raising Quality Kids—And I am Not Talking About Goats!